Whether you’re looking to grow your business with an inviting e-commerce store, share your thoughts with the world via a beautiful new blog, or attract your ideal clients with a digital portfolio of your best stuff, there’s never been a better time to get online. But what’s the best way to get started? Should you try to take it on yourself, or do you need to hire a professional? And in either scenario, how much time and money will you need to make your vision a reality? 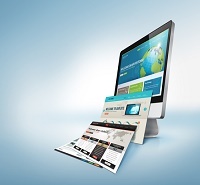 A great deal depends on just what it is that you want your website to do. Some free website builders specialize in helping businesses while others focus on providing personal blogging platforms, with a whole range of specialty sites in between. The first thing to do is be absolutely sure why you’re building a website and then you’ll be ready to figure out which website builder best suits you. Each website builder takes a different approach with their customers. Some, such as Wix, cater to people who wish to start with a pre-made template and figure out the rest later. Others, such as Web.com, build websites for their customers rather than giving them the tools to do so themselves. If you’re a bit of a control freak, a do-it-yourself website builder might be your best bet. These web-based wonders allow users to easily arrange content and tweak designs to their heart’s content, without incurring additional fees. But for those who prefer to let the pros do the heavy lifting, the interface experts at Web.com are happy to make your virtual vision a reality. There are a lot of advantages to the do-it-yourself approach of building a website. The biggest one is that it affords the user the opportunity to manipulate every aspect of their website’s appearance, with the added sense of satisfaction that comes with creative expression. The other advantage is that it’s really easy to make changes to your website--all you have to do is log in and update it yourself. The amount of control you have over your website is much greater. Even the simplest DIY website builder platforms take time, and you may not have any to spare. Relax, make yourself a cup of coffee, and let the web design experts, like the wunderkinds at Web.com, do all the hard work so you don’t have to. You can simply describe to them what you want and they’ll execute on your vision. For example, Web.com’s services include things like professional design of photos and copy, integrated social media channels, tracking tools, and even marketing. All without you having to touch a thing—this is the pleasure of having skilled developers build your website for you. Once you’ve done your homework, it’s time to pull the trigger on a particular course of action. Give some serious consideration to your desired level of involvement with your website, and decide if you’d prefer to be in the digital driver’s seat, or if you’d rather play a more hands-off role in the online realm. And you can also check out the different website builder sites if you’d like to explore more options regarding providers.